A nice change from plain steamed beans. 1. Combine minced garlic with butter and heat until butter is melted. 2. In separate large pot, bring 1 inch of water and a big pinch of salt to a boil. 3. Put beans into boiling water and cover, cooking for 5-7 minutes. 4. 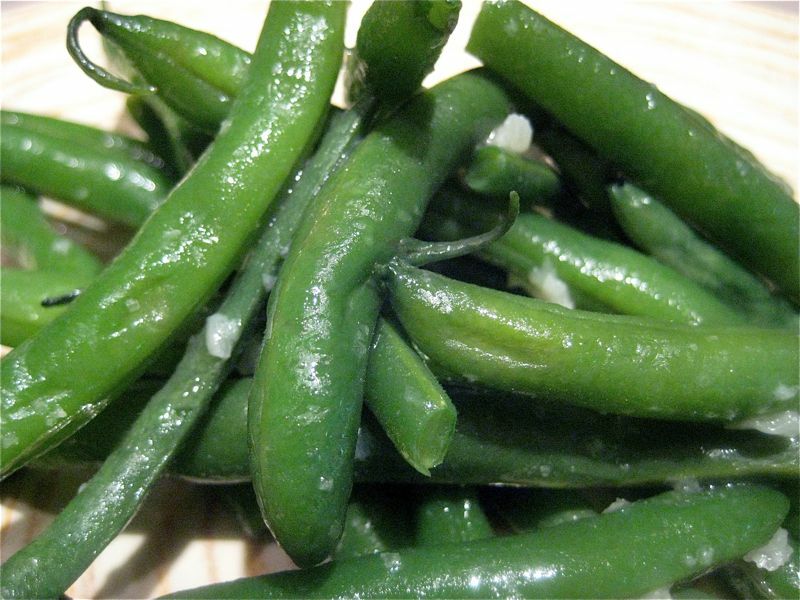 Drain beans, add butter sauce, toss and salt to taste. Cooking the beans too long will yield a mushy bean. The salt in the water helps the beans keep their green. The longer the garlic sits is melted butter, the better the garlic flavor permeates. A garlic press is a handy tool to have.